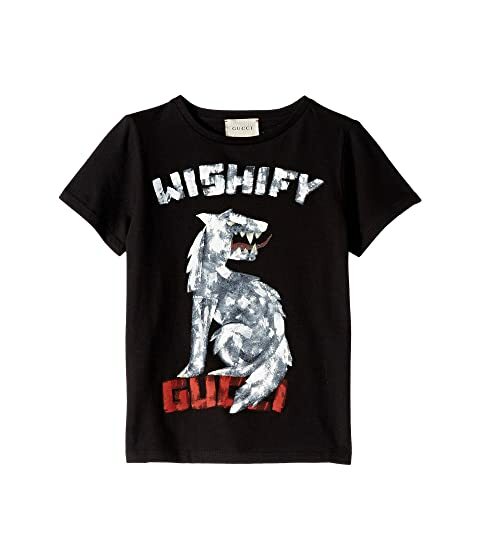 "Wishify Gucci®" wolf graphic print along the front. We can't currently find any similar items for the Graphic Logo T-Shirt 547559XJAH4 (Little Kids/Big Kids) by Gucci Kids. Sorry!